Edward Ndoro was born on the 15th June, 1973 in Bulawayo, Zimbabwe. 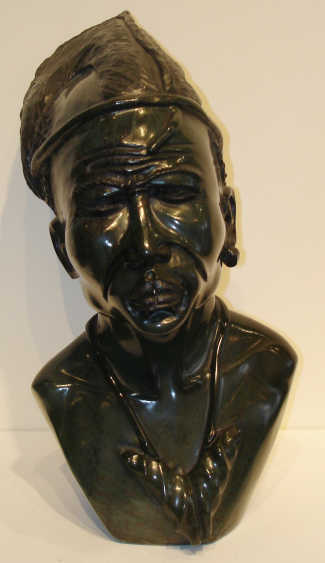 He was raised in a family of talented sculptors and appears to be destined to carry on the family tradition. The creative influence that his Father and Brother encouraged, gave him the confidence to develop a strong technical talent at an early age. Since then, Edward's childhood passion and talent has been realized and rewarded. The confidence Edward displays with his tools, can be seen in the powerful beauty of his stoic Verdite busts. 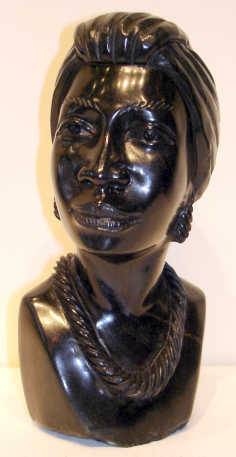 It is this mastery of the craft that has established Edward to be a young and distinguished representational sculptor. 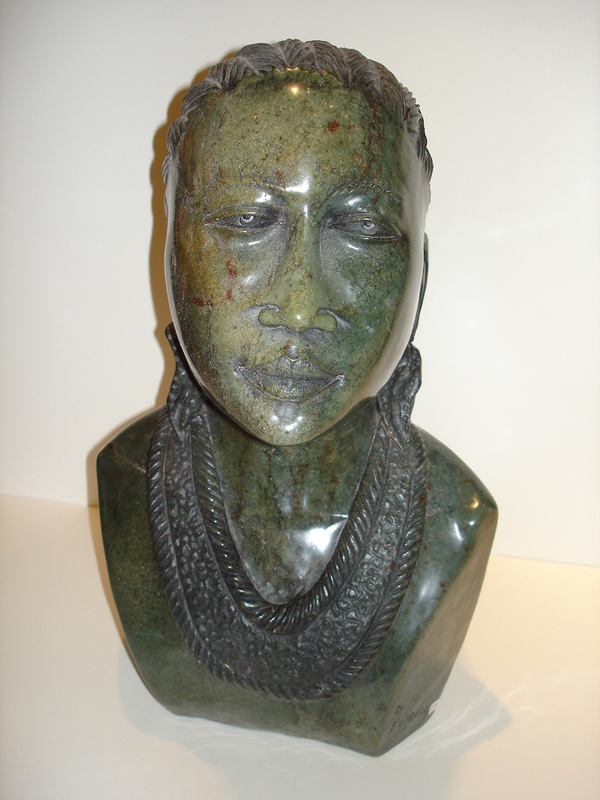 His work can be seen internationally throughout Zimbabwe, Canada, South Africa, USA, Singapore, UK and Germany. 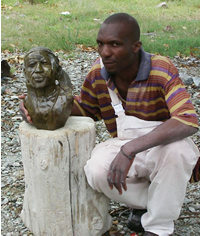 He is considered to be one of the best realist sculptors in Zimbabwe. 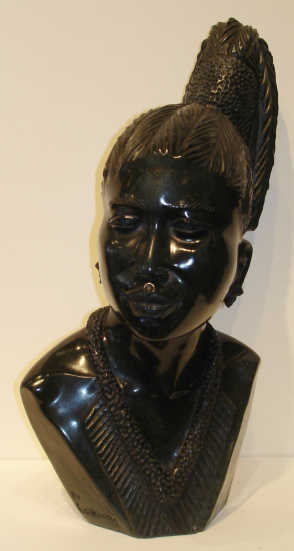 Edward currently lives in Harare with his family. 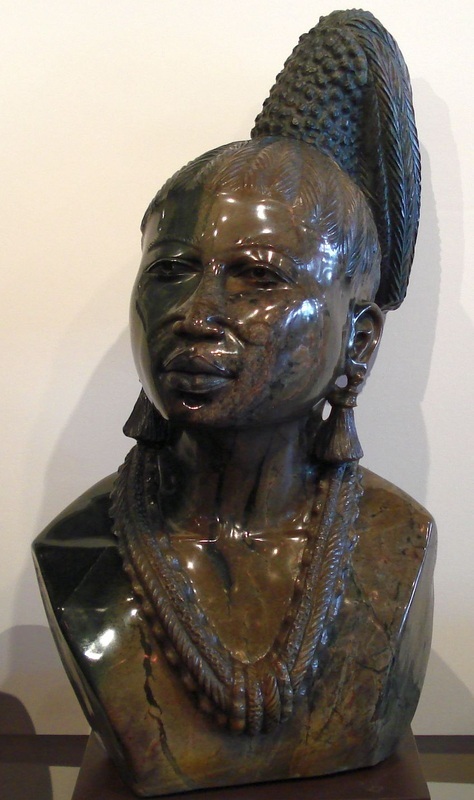 He works with his peers Lazarus Tandi and Rutendo Dodzo, and is working towards sharing his knowledge with other young talented sculptures through becoming a teacher.